I caught up with Anna Butler, a professional copywriter and owner of Copybreak, a number of weeks ago to get some insight into the world of copywriting. On Twitter, Anna describes herself as "Self-confessed word nerd, perpetual student, arm-chair psychologist and doco-junkie. Fond of a good Mwahaha..! I’m also pretty good at writing stuff." I found her to be great fun to interview and interact with. She certainly seems to know her stuff and she keeps me on my toes when writing on my own blog because I know she likes to drop in from time to time and isn't afraid to point out my errors. I hope you enjoy the interview (my questions in bold). Not to be confused with ‘copyrighting’ (which are the exclusive rights given to the creator of any original work), copywriting is the art of writing text (or ‘copy’) for sales/advertising purposes, such as brochures, newsletters, websites, TV/radio commercials, print ads or any other form of advertising communication which requires written text. While copywriting is predominantly focussed on sales/advertising content, most copywriters will also be adept at writing business documents, articles and website content. Sometimes you’ll find the term ‘content writer’ (a person who writes non-sales copy) used interchangeably with ‘copywriter’ – although these terms are not technically the same. Why is good copy important? Many people will make an immediate assumption about your services based on the quality of your copy. If your company literature or website is littered with typos, poor grammar, confusing jargon – or is just plain boring – it can indicate a lack of care and professionalism, potentially turning new customers away and into the arms of your competition. Good copy not only incorporates solid English skills (such as spelling, punctuation, grammar, etc.) it also engages and speaks to your audience in terms they understand and feel comfortable with. This immediately builds trust by positioning you as a professional entity that not only understands the needs of your customers, but can help meet those needs too. How do the skills of a copywriter differ from other professional writing disciplines? A copywriter is sometimes known as the “silent salesperson” or “the salesperson behind the keyboard”. While poets, novelists or journalists write to entertain or inform, a copywriter’s job is to sell. With that in mind, the skill-set of a copywriter should include a solid understanding of marketing and consumer psychology – as well as the ability to write interesting, informative and engaging copy. What are some of the key differences between copy written for the web and copy written for print? While both mediums require the same basic approach – that is, to write material that speaks clearly to the intended audience – copy written for the web needs to factor in several additional elements. Copywriters writing for the web need to know how to research strong keywords to optimise page ranking for their client’s niche, and how to work those words into the copy without destroying its flow or audience appeal. The design elements also differ. Most people will only skim text online, so copywriters need to develop strong headers/sub-headers and keep paragraphs short and punchy to retain audience interest. It’s also becoming important to consider the length and layout of text with the ever increasing popularity of iPhones and smartphones, since more and more people are using these technologies to access information online. What percentage of your work is copy for the web? What is the trend? About 90% of the copy I write is based online. With the availability of internet kiosks/cafes, laptops, iPads, and smartphones, people have access to the web pretty much wherever they are. While printed copy is likely to stay with us in one form or another, more and more people are turning to the web to research and find what they are looking for. What are 5 things anybody can do to improve their web copy? Always ensure you introduce the main subject points at the beginning of your copy (above the fold). Readers don’t want to have to scroll down to find the important/relevant information. Write for your audience. Don’t focus on who you are and what you’ve achieved – instead focus on who your audience is, what they need and how you can help them. Make sure your keywords fit with the natural flow of the copy. They shouldn’t stick out like a sore thumb – and wherever possible, ensure you incorporate them into your page headings. Avoid long, complicated sentences and paragraphs. Most people will skim through the copy, so make your message as easy as possible to read and understand. Are inbuilt spellcheckers sufficient for proofing? If not, what are their short comings? You should never rely solely on spellcheck when writing copy. Aside from often defaulting to US English (which is fine for American audiences, not so good for Australian or English audiences), spellcheck programs can’t detect simple typos where a slip of the finger creates a real word, such as: form/from word/work then/than, etc. Similarly spellcheckers won’t detect where correct words have been used in the incorrect context, such as: their/there, advice/advise, hear/here, principle/principal, etc. When proofing copy, it’s always a good idea to print it out and go through each line with a ruler to check no words have been missed and that all words are correctly spelled. Any words you’re not 100% sure of should be checked in a dictionary to ensure the meaning is correct for the context of the copy. Is good copy important for short messages such as tweets and Facebook updates? Social media platforms such as Twitter and Facebook certainly allow for a little more flexibility – particularly as they happen in ‘real time’ – but it’s still important to pay attention to the basic rules of copy, especially if you’re using them for business. While Twitter limits the amount of words available making it acceptable to abbreviate, no one wants to read tweets that consist solely of ‘how r u? wot r u up 2 2day? i cant blv my bf is out 2nite’. Spelling, punctuation and audience relevance still need to be taken into consideration, although most people will forgive the odd typo in a tweet given it’s an instantaneous platform. Facebook is probably a little less forgiving given it isn’t as immediate as Twitter, so more time can be taken to construct messages. The increased message length also negates the need for abbreviations, so this should be avoided where possible. What's your opinion of text-speak, twitter-speak and other butchering of the English language brought about by new technology and media? Personally, I hate the way the English language is being sliced, diced and julienned. As stated in my website profile, when texting, I still type out all my words in their entirety because I hate trying to decipher a bunch of letters (even if I send twice the amount of texts I need to convey the information!). That said, I do recognise that for SMSs and tweets, abbreviations serve quite a useful purpose, but unfortunately some people seem to think the same savage butchery of our language is appropriate for emails and Facebook updates, which I find horribly rude and unnecessary. There's a lot of crap on the internet. What are some indicators you use to separate fact from fiction when researching for an article? When researching on the net, one of the first red flags for suspect information is often badly written copy! That immediately raises the question of how professional the source is. Generally, however, I find the most reputable sources I can (ie. manufacturers, specialists, industry experts, independent reviewers, etc. ), then cross-reference all my research to check continuity and consistency. This quickly reveals any extreme or bogus claims/articles. How much should businesses expect to pay to hire a copywriter? That really depends on the result they’re after. There are certainly offshore companies that’ll write copy for about $1 an hour… but you’d really have to question the quality. Often it’s mass-produced and written by non-native English speakers, lending itself to all manner of typographical and grammatical errors. For a quality copywriter prices can vary quite significantly, however businesses looking for a copywriter should remember they’re not just paying for X amount of words on a page, but the skill to turn those words into a compelling call to action to ultimately increase their bottom line. Just like any other specialist, they shouldn’t expect to pay minimum wage. What are some things to look at when looking to hire a copywriter? Take a look at their website – is it well written? Does the writing style appeal to you? Do you find it easy to navigate? All these things are important, because if they don’t get it right on their own site, they sure won’t get it right on yours. From there you can ask to see samples of similar work to gauge their ability. If they’ve not yet had the opportunity to work on a similar project, you may be able to ask them to write a brief sample to demonstrate their skill and understanding of what you’re after. Once you’ve approached a copywriter, one of the most important aspects – in my opinion – is to have comfortable, open communication. Even if a copywriter is brilliant, if you struggle to communicate with them, or you’re not on the same wavelength, you’re unlikely to get the best result. How can the value of copy be maximised? Consistency of message, style and tone. When you keep these elements consistent throughout all of your copy (both off and online), it reinforces your message and brand. If copy is informal on one page, formal on the next, and generally inconsistent with its voice, it only serves to confuse your message – and ultimately your reader. Is there a measurable difference between the conversion rate (conversion being whatever you want the visitor to do on the page) produced by professionally written copy and copy written by an average person? This is an interesting question and not such an easy one to answer because there can be so many variables to skew numbers. I recently read an article about a direct mail letter that had a 7.1% conversion rate when sent via the post, but when the same letter was duplicated word-for-word on the company’s website, it only converted at 0.0015%. Other factors such as market trends and demand, the economy, the time of the year, a fickle audience, etc. can all have significant impact on conversion rates. Copy which might have a conversion rate of 12% in April, might drop to 4% in September. There are, however, a number of techniques copywriters will employ when writing copy for this purpose (which the average person may not be aware of) and it’s these techniques which give the copy the highest chance of converting. What implications do you think Google's recent Farmer/Panda update will have on the web copywriting industry? Personally I see it as a very positive move by Google, which should start separating the ‘wheat from the chaff’ (so to speak). If sites with quality copy are rewarded with better rankings, while those with mass-produced rubbish suffer, it only serves to improve the end user’s experience. On the downside, it will potentially have a negative impact on small businesses who either can’t afford to pay top dollar for copywriting, or simply don’t know they can hire a skilled professional to write their web copy for them. My goal is to help reach these people so they’re not unfairly penalised by an otherwise sensible move by Google. Can you complete the hardest crossword puzzles in the Advertiser? Can’t say I’ve done the crossword puzzles in the Advertiser, but I tend to complete most the crosswords I begin (cryptics included – my faves!). I find most crosswords deriving from a single source can be quite repetitive with their clues, which they also phrase in their own unique way. Once you’ve done a few and established their profile, they tend to get easier in general. What are some useful websites/blogs/apps/tools you know of to help people improve their copywriting? An awesome blog I subscribe to is ‘Copyblogger’, which is both informative and entertaining. Google Keywords and Wonder-Wheel are online tools I use all the time when researching keywords for SEO. And the one that really surprised me as an excellent resource is Twitter! I’m always coming across fantastic links to articles, tools and websites. Of course, I have all sorts of resources bookmarked to help with various tasks, but these are my favourites. Do you have any copywriter mind tricks to help when you just can't remember the right word? I go through the alphabet in my mind until I find the first letter that “feels right”… from there I keep going through the alphabet for the next letters in the word. It usually works for me - although I keep my dictionary and thesaurus on hand as much as possible to help me find elusive words. Bonus Question: How many errors did you find in the questions? LOL – I found three technical errors and another three things I would have corrected if proofing these questions to improve the wording and clarity. Err... that's correct Anna, full marks. Thanks very much to Anna for agreeing to be interviewed. You can find more details about Anna's services at her Copybreak company profile in our Internet Marketing Adelaide Business Directory. Products/ Services: Copybreak is a professional copywriting service dedicated to finding the right words to make your business shine across all marketing and media platforms such as: websites, social media & blogs, printed media (brochures, articles, direct mail, newsletters, etc.) and even TV/radio commercials. Specialty: Original, consumer-centric and SEO-rich online and website copy. In a previous post I talked about location qualifiers, in this post I'm talking about a similar concept, business qualifiers. The question is, what words do people use when they are looking for a business. Here's a few that I came up with. Its clear that some of these words would be used in specific situations such as 'accounting firm' instead of 'accounting business.' But, for other words its not so clear. Lets look at some definitions. As you can see, there is a lot of similarity between the definitions so it would seem likely that people would often use them largely interchangeably, depending on what they're used to in each context. Here's some search traffic and competition data for each business qualifier. When doing keyword research we need to take into account the different ways that someone could look for a business. If its not the normal way that people look for a business, such as 'accounting business' instead of the norm 'accounting firm,' you might find the keyword has much less competition and is more profitable to target. What 'business qualifiers' do you use when searching for businesses? The best place to get search traffic data is Google's free keyword tool. They maintain that the data is an estimate, not exact, but it is the best source of data you are going to find. If you're signed into an Adwords account when you use the tool you can get more keywords at once (up to 800). Wordtracker provide an alternative keyword tool. Broad: Searches that contain the words in any order, with any number of other words in between. Phrase: Searches that contain the words in that exact order, with any number of other words before and/or after. Exact: Searches that contain only that exact phrase, with no other words. In general, the number of searches will be highest for broad match and lowest for exact match, with phrase match somewhere in between, usually closer to broad. I like to use phrase match data but you can go to my post mentioned above for more information on each and make up your own mind. Another useful statistic to look at is the phrase-broad match ratio (PBR). You can calculate this by dividing the phrase match search volume by the broad match search volume. A low PBR will tell us that there could be another phrase, made up of the same words as the phrase we are looking at, that gets more traffic than this phrase. In general, you want to focus on the word combination that gets the most traffic. It's worth looking at the trend for the keyword search traffic which Google's keyword tool will give you especially if the keywords you are looking at might be seasonally effected. Google insights for search and Google trends will also give you good trend data which can also be broken down into subregions like 'south australia' which you can't do with the keyword tool. 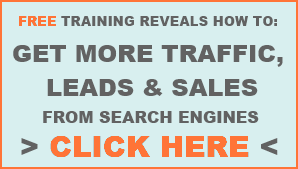 The more traffic a keyword can deliver you, the better. However, you will find that the keywords that deliver the higher amounts of traffic also have the highest level of competition and in some cases too high to target. In those cases you need to pick a keyword with lower traffic, but how low is too low? One way to judge the volume of traffic is to figure out how many conversions that level of traffic is likely to bring in and compare that to your targets. If you assume that 1 in 20 people who visit your indian restaurant website after searching for 'indian restaurant adelaide' end up making a reservation at the restaurant and your target is 50 reservations a week, you would need a keyword with a local SEO traffic of at least 1000 per week. However, when using this line of thinking you need to take into account that most search traffic and conversions do not come from the keywords that have the highest individual volume, but from a combination of the longer phrases, known as the long tail. Market Samurai recommends a minimum SEO Traffic of 1521 searches/ month (50/day) as part of its golden rules filter. Market Samurai also recommends a PBR of at least 15% or 0.15. With regards to search trends, if the keyword your are looking at is continually trending downwards, year after year then its probably not the best keyword for you for the long term. If you discover that a keyword is very seasonal then that would be something to keep in mind if you need a consistent flow of traffic through all seasons. Market Samurai is the software I use for keyword research. Market Samurai comes with a preset filter called the 'Golden Rules.' These are the values they recommend when doing keyword research.